Knesset approves in preliminary reading bill anchoring in law special status of young settlements that have not been officially normalized. The “fabric of life in settlement" bill, also known as the "Regulation Law 2" was approved today, Wednesday, in a preliminary reading in the Knesset. The bill enshrines the special status of young settlements in Judea and Samaria that are in prolonged processes of normalization. The proposal establishes the government's obligation to complete the normalization process within two years, and in the interim period, the residents of the young communities will receive all the municipal services to which every citizen is entitled, such as electricity and water connections. The law also determines that until all normalization procedures are completed, all enforcement procedures will be suspended and administrative orders will not be implemented, and no actions will be taken by the Enforcement Unit in the Civil Administration without direct instructions from the Minister of Defense or the Prime Minister, with approval from the Cabinet. 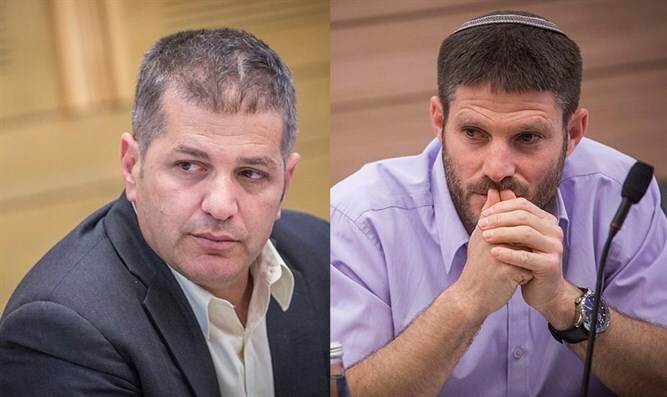 The bill was initiated by MK Bezalel Smotrich (the Jewish Home) and MK Yoav Kish (Likud), heads of the Land of Israel Caucus in the Knesset. "I call upon the prime minister and defense minister to advance the law as quickly as possible in order to give the citizens what they deserve, and this commitment cannot be left only at the level of talk," Smotrich said. "The bill sets clear timetables for the implementation of a cabinet decision that has already been adopted and has begun to function. It is not possible for interested parties to thwart or delay implementation of the decision. All the settlements are located on state land without exception and therefore the claims on the Hague are a blatant lie in order to create de-legitimization. "The settlements will be normalized and they will receive the basic services that they deserve, such as electricity and water - that is our duty," Kish stressed. "I thank the prime minister and the Likud government for their support."